A lovely range of steel baths, back to wall baths and inset baths designed to complement the quality required in luxury bathroom design. 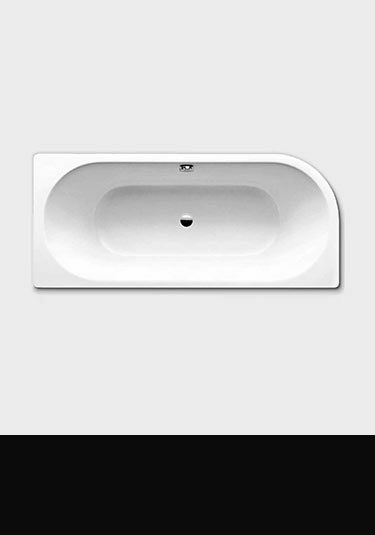 Within this collection we can supply our built in baths for corner installation, under hanging baths for building a marble surround above and inset baths for inserting into surround and side panel. We offer our steel back to wall baths in oval, rectangular and circular designs as well as bow fronted baths which are square one end for corner installation and with a sweeping curve the other end which is ideal for producing extra space and easy access within a smaller bathroom design. 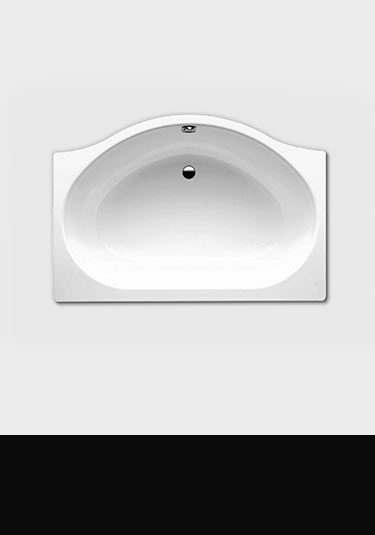 Our quality baths can be single ended or double ended. 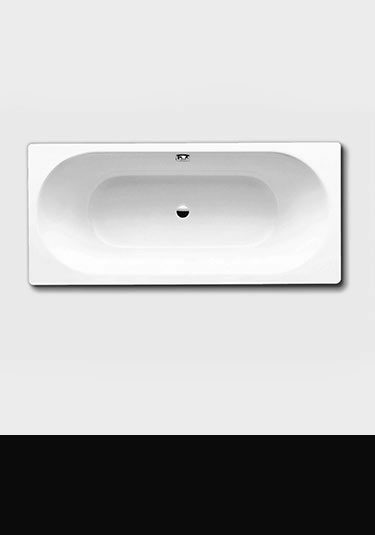 All our baths can be supplied with or without grab handles and we offer many sizes from the very large, which is ideal bath for two people to a very small bath. Our steel baths are luxury quality manufactured in Europe in the best 3.5mm steel, which has then had a stove enamelling fused onto the steel, making the surface extremely hard wearing, scratchproof, acid resistant and highly impact resistant. 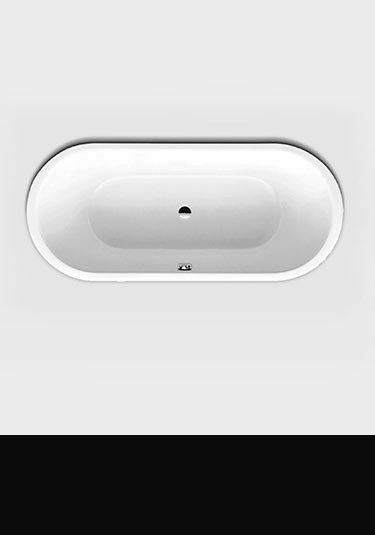 Each back to wall bath design is generally supplied from stock in gloss white, with coloured bath finishes available to special order in cream, grey, black, beige, pistachio green, pale blue and rose pink. All back to wall and steel baths are the very best European quality available and are designed to last a lifetime which is why the manufacturer offers 25 year guarantee for peace of mind. The Coble is superior quality steel built in bath with one curved edge allowing good styling with space saving characteristics. This European back to wall bath is made in thick steel with a fused hard stove enamel finish allowing a 25 year manufacturer guarantee. A luxury steel bath with a bow front allowing lovely styling and using space efficiently. This Superior quality back to wall bath is made in 3.5mm steel with a hard wearing stove enamelled finish. A large bow fronted built in bath made in thick steel and big enough for 2 persons. This superior quality back to wall bath is manufactured in Europe with a highly resistant stove enamelled finish & highly resistant to scratches, acid & impacts. A superior single ended steel bath with impact, scratch and acid resistant stove enamelled finish available in white colours. Each luxury quality back to wall bath is supplied with a 25 years guarantee. Simple styling but very high quality double ended steel bath designed to be built in and made in 3.5mm steel with a baked on stove enamel finish. 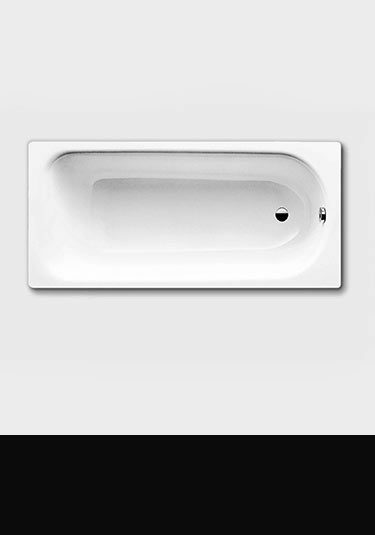 This back to wall bath is made in Europe with 25 year guarantee. 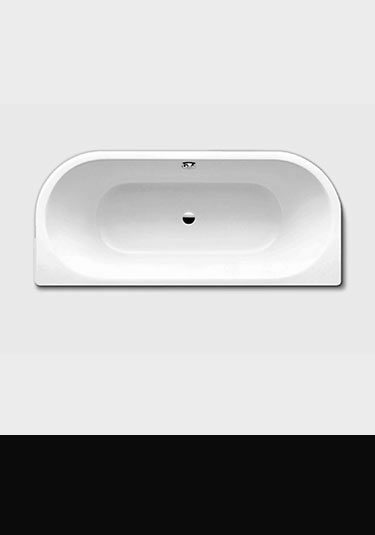 A double ended bath designed for under hanging under stone or marble surrounds or as an inset bath into a surround. This steel bath is made in Europe with a very hard wearing stove enamelled finish.